It's been labeled the most hotly anticipated Masters in recent memory, dominated by a series of startling stories coming into the week potentially setting up an all-time classic. Four-time champion Tiger Woods is back and looking to secure a staggering victory, while Rory McIlroy is seeking to complete the career Grand Slam. Old Augusta favourites Phil Mickelson and Bubba Watson are on form, and it would be hard to ignore the top five in the world rankings: Dustin Johnson, Justin Thomas, Jon Rahm, and Jordan Spieth. For once, the hype around the year's first men's major may be entirely justified. And there are many ways for you to follow the showpiece from home. 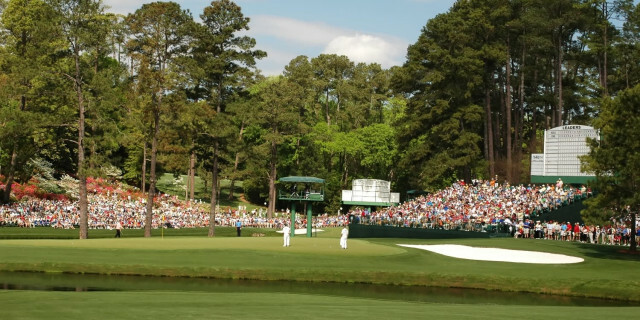 Sky Sports and the BBC will again share the televised coverage in the UK, with radio and online services also keeping golf fans updated of each shot and moment from Augusta National throughout what is the 82nd Masters Tournament. Masters on the Range - Sky Sports Main Event (14:00), Sky Sports Golf (14:00), Sky Sports Mix (14:00). Masters Par 3 - Sky Sports Main Event (19:00), Sky Sports Golf (19:00), Sky Sports Mix (19:00). Masters Tournament - Sky Sports Golf (19:00), Sky Sports Main Event (19:00). Masters Tournament - Sky Sports Golf (19:00), Sky Sports Mix (19:00), Sky Sports Main Event (20:30). Masters Tournament - Sky Sports Golf (18:00), Sky Sports Mix (18:00), Sky Sports Main Event (18:30). Sky Sports will also have Red Button Coverage of Amen Corner, Featured Groups and the 15th & 16th Holes during the Tournament, in addition to a series of highlights and new programmes on Sky Sports Golf. 21:00-22:00, BBC Radio 5 live (coverage continues 22:00-01:00, BBC Radio 5 live sports extra). 19:00-21:00, BBC Radio 5 live (coverage continues 22:00-01:00, BBC Radio 5 live sports extra). 17:30-00:00, extra coverage, BBC Red Button and online. 21:00-01:00, BBC Radio 5 live. If you're unable to park yourself in front of the TV or don't have access to a radio, ByTheMinute will be covering the Masters throughout the main coverage times, delivering knowledgeable, witty, and steady updates on the latest action. Providing 30 hours of updates during the week. Click Here to access ByTheMinute. For Previews and Coverage of the 2018 Masters, check out Golfshake's Content AND the Special Edition Golfshake Podcast.